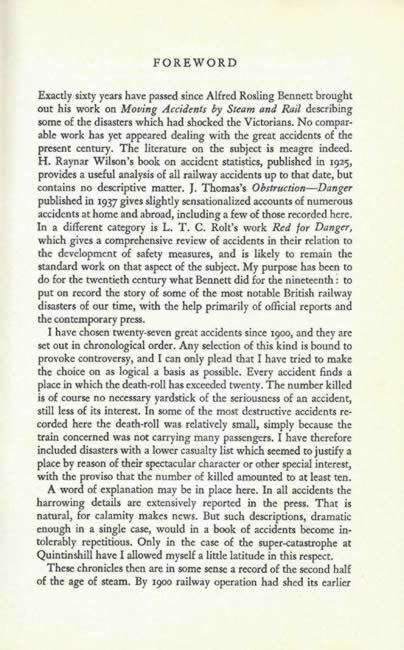 British Railway Accidents of the Twentieth Century. This is a second hand/ex library book hardback edition which has no dustcover however the book is in good condition. 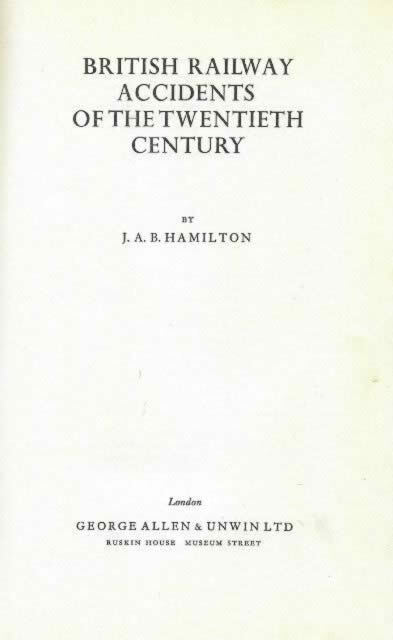 This book has been written by J.A.B Hamilton and was published by George Allen & Unwin.